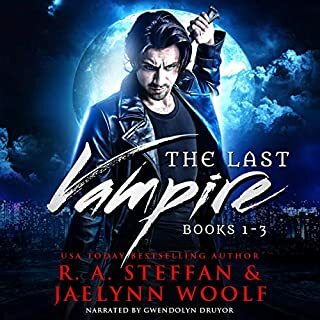 Just when correctional nurse October Grace has a handle on her stressful job and taking care of her mentally ill mother, a shape-shifting warrior and a half-vampire plunge her into a foreign land that's on the brink of starvation. Now, with a ticking clock and a target on her back, October takes up the mantle of becoming one of the rare Omens who can bring hope to a dying world. 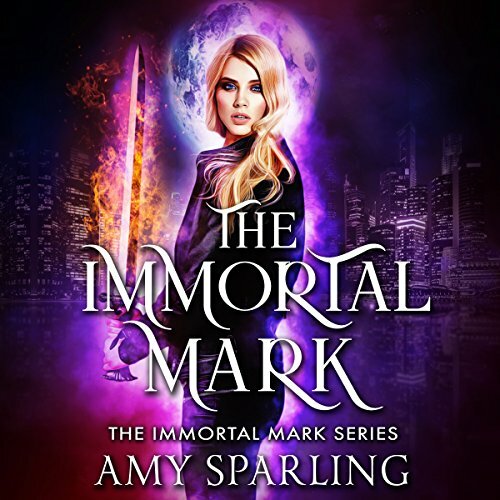 From the best-selling author of Summer Unplugged, The Immortal Mark is the first in a new paranormal romance series by Amy Sparling. The only thing Cara got for her 18th birthday was an unexpected invitation to move out of her uncle's house. College isn't an option for a poor girl with average grades, so when her best friend Riley finds them a mysterious job opportunity that includes room and board, Cara is interested but thinks it sounds too good to be true. The night before their interview, Cara has an epic night out with Theo, an impossibly handsome guy she just met. He's charismatic, a little mysterious, and it feels like she's known him her whole life. When she runs into him at her interview, he's cold and elusive. He makes it very clear that he doesn't want her working with him, which only makes their mutual attraction burn hotter. 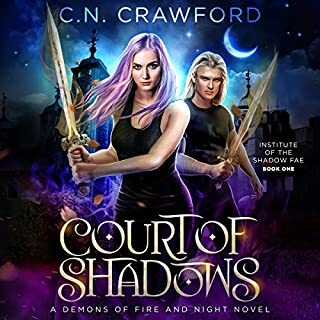 Cara takes the job for Riley's sake and promises herself she'll avoid this jerk and his mood swings, no matter how hard it is to keep away from him. Soon she finds out her millionaire employers aren't normal guys who live and travel in luxury. They're immortals. Theo wasn't trying to ruin her job prospects. He was trying to save her life, because the girls they hire never make it out alive. I was hooked from the beginning. I basically listened to this in one sitting. This series is soo intriguing and different. The 1st book does a lot of building. The author did a wonderful job of dangling carrots at the end that leave me drooling for the next installment. 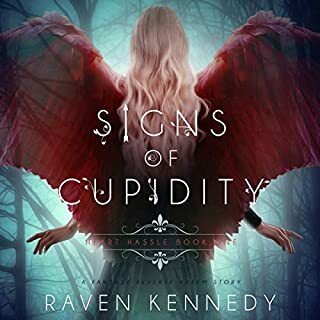 This is not a stand alone so don't expect anything to be completed with this book alone :) Love this series and can't wait for the next book! Thanks! Not to leave the narrator out- She did a wonder job! Note: I received this book free in exchange for my honest and unbiased opinion. It in no way affected my opinion. This book is a great start to a very unique YA/teen series. There is a touch of paranormal but not much. There is also a bit of romance. Cara and her best friend Riley have gone through a lot! They have such horrible luck and when things seems to be looking up they actually get even worse. I like the fact that the main characters are young but not immature for their age. They actually seem pretty smart trying to work with all the curve balls that life has thrown at them. They have been dealt a bad hand but they try to figure out how to land on their feet. I really enjoyed the unique story even though it concluded in a cliffhanger. I'm looking forward to reading/listening to the next book to see how they will get out of their situation. Hopefully, Theo will do his best to help them. It has been a while since I read/listened to a book in the Teen category. I felt that this was more of a contemporary then paranormal which I wasn't expecting. There is a lot of backstory (there was a lot of this and the build up did take a while) and some romance. This is about two girls that thru circumstances are running out of options, and choices are made...And who does know the best choices to make at 18. This is just as much about them as the love interest with Theo...which is insta-love. Although they are teens, they were written strong with character flaws but with little immaturity. I did enjoy her writing style and the narration. A solid teen book...and like I said this book did take a while to build up to the climax, but I am interested to see where the story goes. The story captured me for the first chapter. This story is about two orphaned girls who became BFF growing up. And how s black cloud of bad luck keeps following theme. This story has adventure, suspense, romance and a bit of angst to go along with immortality. However, I was very disappointed that it ends in a cliffhanger. and no mention of another book to come. I still enjoyed the book. The narration was good. I was provided a copy of this book from the author/narrator for a honey review. This was a very good read. It has a good mixture of suspense, romance and a lot of adventure. The narrator does a fairly good job of bring the characters to life. It began slow and quickly progressed, which was a bit whiplash inducing. But barring that, I enjoyed the story. The audiobook narrator was a bit choppy and robotic in the way she read it, so it took longer to get through than most audiobooks. I think I would have enjoyed it more as a physical book than audio, but, regardless, it’s well written and intriguing. I may just look in to the rest of the series in paperback. At only five hours long, I expected this to be a quick listen, full of interesting characters and an engaging plot. What I got instead was far from my expectations. The story itself caught my interest easily - it has an original premise and there were some good ideas to be fleshed out. Unfortunately, the story frequently felt like that - not quite fleshed out, more like an overall layout than an actual, fully realized story. There were several noticeable places where the help of an editor could have improved the story immensely, such as smoothing out redundancies and inconsistencies. The main character (sigh)... she was not a favorite of mine. I struggled to continue listening as she ran hot and cold, couldn't make up her mind, and was just all over the place. Granted she just turned 18, but given her life experience and current home situation, you'd expect her to behave more maturely than she did. Pair that with her male counterpart, who couldn't articulate a sentence to save his life, and you have a mind-numbing pathetic and annoying duo. Last, there was the narrator... She was the worst part of the experience for me. 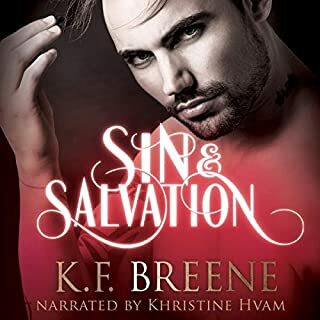 I initially listened to the sample, and was charmed by the accent given to the characters. It also seemed in the sample that the characters were well differentiated and had unique voices. That part at least stayed the same throughout the story. Unfortunately, the narrator made the main character's voice monotone and almost emotionless, even when she was mad and yelling. It was difficult to ignore the narrator and instead focus on the story itself. Unfortunately, what I ended up with was a potentially good story that just really seemed like more of a rough draft rather than a fully realized work. I think with a lot of editing and fleshing out of details and and scenes, this could be quite a good listen. However, I would suggest using a different narrator to fully bring the story and characters to life. 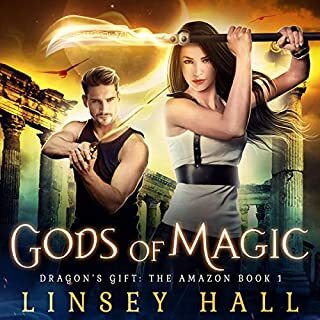 This book is different from other Sci-FI Fantasy books I read. It does not follow the usual story line and introduces us to a different way of life in the supernatural world. A very grabbing story line that makes you wonder. Can not wait to dive into book 2. This was a good start to a series. For me, the main female characters seemed a bit winy because their lives had a bad start. To their credit, they were trying to get out of their situation, but they jumped into something new without really questioning why the new job seems so perfect. I'm honestly up in the air as to if I would listen to the next book in the series even though (and perhaps because of) a huge cliffhanger. I don't mind small ones in a series, but I felt this one was too much and didn't truly conclude the book properly. The narration of the book was great. I'd definitely listen to books narrated by Sarah Puckett again. This is no criticism of the story line as I didn’t get very far into it. The narration was sadly not for me. It was very slow and drawling and I couldn’t imagine a character with such speech. Maybe it’s a flaw of being British. I mean no offence, it just wasn’t for me. Others may get in better with it. 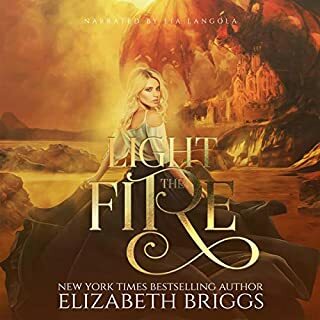 This first book is more about Cara and Riley and there relationship with each other and how they came in contact with immortals. I love how the characters interacted with each other and how different they are in personality. I also love how they stick together, which is understandable with their background. Where some books feel like it is forced when one character tells another their secret, it is not so in this book. I think this is to do with the fact that we get to know the characters and how they interact with each other. This does end on a Cliffhanger. We get to know a bit about immortals before it stops. I like the authors twist on immortals and I can't wait to find out more about them. I thought the narrator did really well with playing out the different characters. Her voice suited them and I can distinguish between the characters.